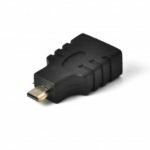 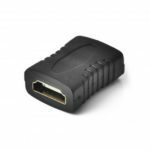 This Mini HDMI male to HDMI female Adapter enables you to connect a Mini HDMI capable device such as a digital camera, to a standard HDMI-capable device (HDTV, projector, etc.) 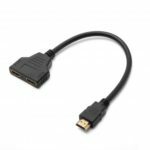 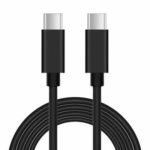 using a Standard HDMI cable. 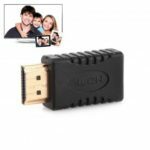 Applicable to connect your Mini HDMI enabled device to HDMI-enabled device. 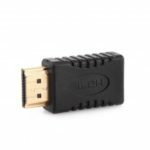 Gold connectors resist corrosion and provide rigidity.